Our most requested feature is now live! 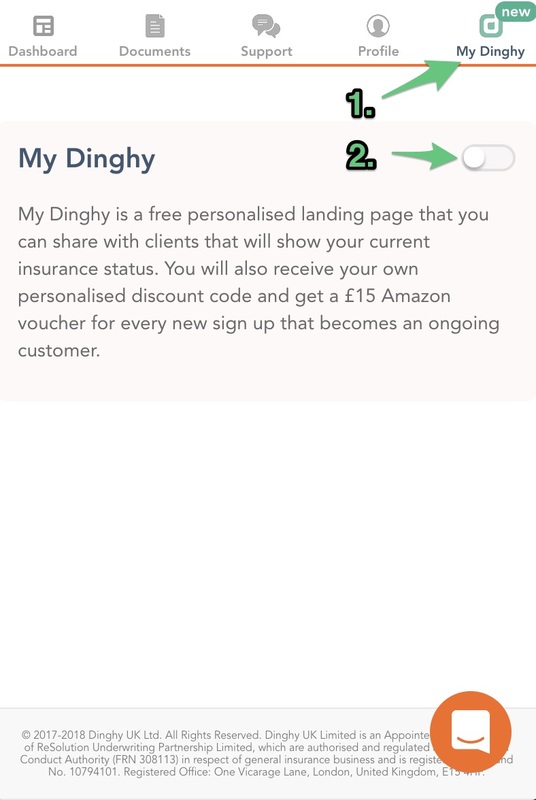 Since we launched back in January, when we introduced the world’s first on-demand insurance for freelancers, our customers have consistently asked us for a way to let people know they were insured by Dinghy. 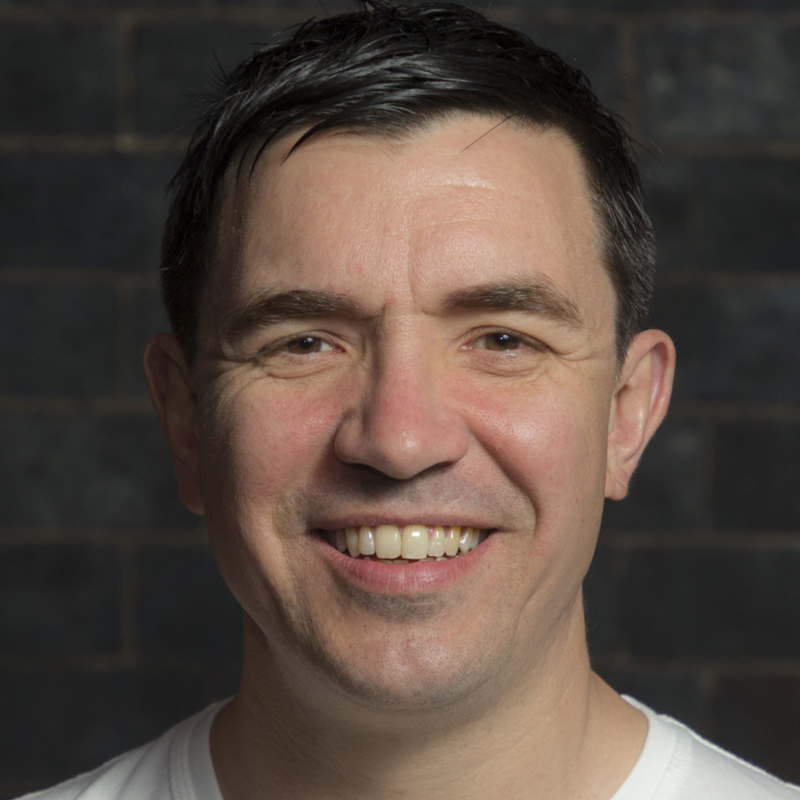 We listened and are delighted to announce another world first – a real-time Proof of Policy for freelancer insurance. With the flick of a switch, our customers can choose to have our cutting edge platform generate their free “Dinghy Profile” page. This communicates in real time with our servers to ensure that their current insurance status is shown accurately to any visitors that may wish to see it. Potential employers, clients, co-working spaces or other freelancers can all see if our customers really are a verified customer and protected by Dinghy. What’s more, our customers can configure their page and choose to show what insurance covers and limits they have. Not only does this give the peace of mind for potential employers to see that a customer is insured, we are eliminating the archaic practice of having to request a proof of policy document from your insurer, to be downloaded, emailed, filed and checked. Instead, we are using our bespoke platform to provide real-time proof of policy with no additional effort for our customers or their clients. The Dinghy Profile page will also be visible to Google and other search engines, allowing our freelance customers to have another valuable online presence. Our customers can use their Dinghy Profile page to not only prove their insurance is in place, but also include a profile picture to further verify their identity to a potential employer. A bio section allows customers to promote their services and they can add their social media links to ensure their latest updates are available to everyone. 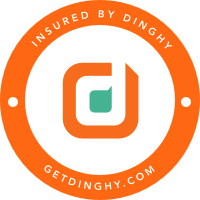 To help our customers make their clients and other interested parties aware of their Dinghy Profile, we have also created the “Insured by Dinghy” badge. This can be easily placed on our customer’s website and linked directly back to their Dinghy Profile page. Our customers have repeatedly stated that as more and more employers ask for proof of insurance, they believe showing they are insured will help them significantly increase their own business – so how could we refuse! For our loyal early adopters we are delighted to also introduce our improved referral scheme. 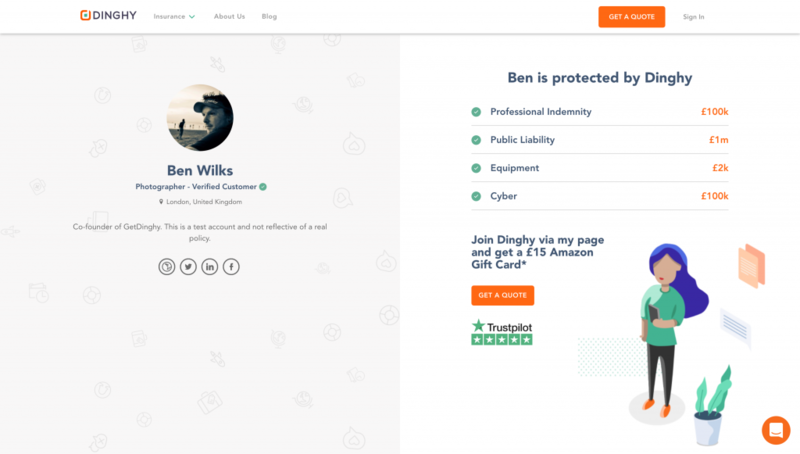 Each Dinghy Profile page includes our referral system where our customer’s friends and peers can buy freelancer insurance and both will receive their referral bonus of an Amazon voucher. New customers simply have to click the link from the Dinghy Profile page and the rest is automatically taken care of. How do I activate my new profile? We’ve added it as a whole new section to your self-service area. It is currently off by default for all customers, so we encourage you to head over to your my account area and enable your new page. We have provided you with fine-grained controls, so the power to choose whether or not you’d like to display your covers and limits is in your hands. These are great things to enable to prove your coverage to current and prospective clients. Ready to activate your profile? Go ahead and turn on your own profile to start sharing with clients, and start earning from friend referrals. This is just the beginning for Dinghy Profile pages. Moving forward we will be adding new functionality and perks to ensure that our customers have the best possible service, not just the best possible insurance. First to arrive will be a shiny new dashboard so they can more easily manage referrals and see how much has been earned from inviting friends to join as a Dinghy customer. As always, we love feedback and for all our customers if you have any features that you want to see on your Dinghy Profile pages, let us know!